March has arrived and that means the NCAA Tournament more appropriately called March Madness. Sitting at the top of the odds chart to win the National Championship are the Kentucky Wildcats. Kentucky is 29-0 and can move to 30-0 on Tuesday with a win over the Georgia Bulldogs. Looking down the road if we may, odds makers through their crystal ball or algorithms whichever you believe, see Kentucky, Duke, Wisconsin and Arizona as the teams with the best odds of winning the national championship. Many believe it could be a battle between Duke and Kentucky with Kentucky sitting at 39-0 in the national championship game against the Duke Blue Devils and Coach K.
Duke would be the only team that could beat Kentucky and they are peaking just at the right time. 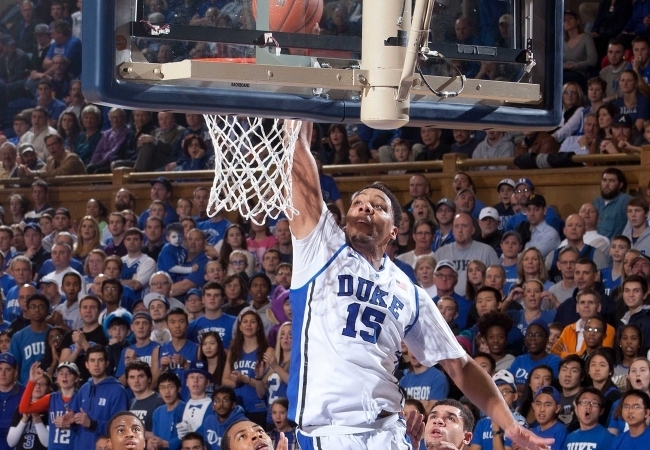 The Blue Devils have won 9 straight games after losing back-to-back games to North Carolina State and Miami. Coach Mike Krzyzewski said his team has played well all season with the exception of a few games where they did not shoot well. He added that you do not beat teams like Wisconsin, Stanford, Michigan State and Notre Dame unless you are good. He claims his players have also matured since the season started. Duke has Jahlil Okafor as well, arguably the best player in the nation, just ask Coach K, he will be more than happy to tell you that. That would mean the year’s best player would be against the country’s best team, what other matchup would anyone really want to see. Since 1984-85, when the tournament was expanded to 64 teams, just four national championship games have had two No. 1 seeds. Some of the best final games came from the matchups, including Duke vs. UConn in 1999, North Carolina vs. Illinois in 2005, Florida vs. Ohio State in 2007 and Kansas vs. Memphis in 2008. With Kentucky vs. Duke, you will also have the most hated and most loved teams in the nation in the eyes of college basketball fans. This matchup might not reach the 24.1 rating and 35 million viewers that the Indiana State/Larry Bird vs. Michigan State/Magic Johnson drew but it could especially if Kentucky reaches the final at 39-0. Mike Krzyzewski is 8-1 at Duke against Kentucky. Kentucky coach John Calipari is attempting to reach his third Final Four in the past three years and his second national title in three years. It might be a long shot, but that is what sports betting is all about, long shots. Let’s hope the Basketball Gods are looking down upon college basketball and the NCAA Finals feature Kentucky vs. Duke. 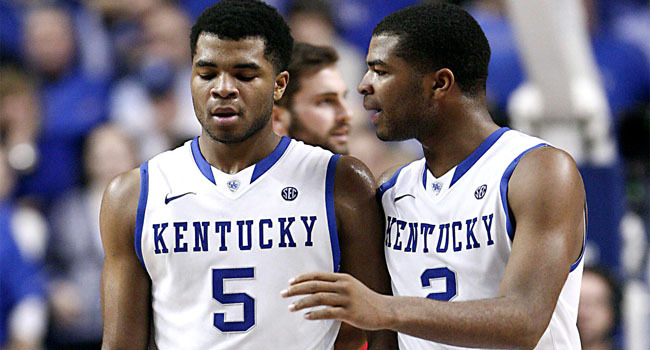 The Harrison twins will need to both play well for Kentucky to win the title. The NCAA Tournament is down to its’ final two participants and while they may be relatively low seeds, they are well-known to the college basketball world. In the first semi-final game last night, the UConn Huskies defeated the tournament’s top overall seed Florida 63-53. 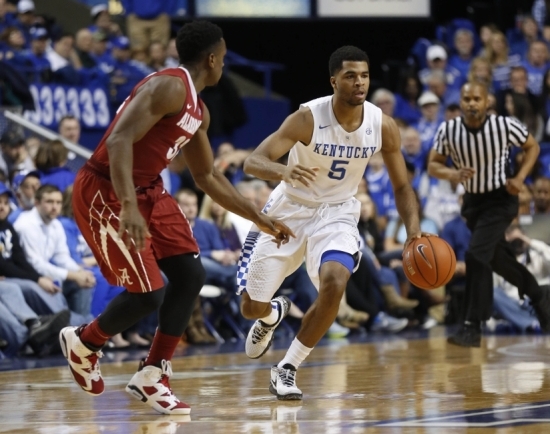 In the second game, Kentucky once again got a last second shot from Aaron Harrison to defeat Wisconsin 74-73. What we have now is the largest combined total in terms of seeds for title game in the history of the NCAA Tournament. UConn is the first-ever seven seed to make the title game while the youthful Kentucky Wildcats are an eighth seed. I called Kentucky’s win over Wisconsin but missed on Florida who disappointed me but a lot of that had to do with the Huskies. Let’s see what I can come up with for Monday night. Daniels will need another monster game in order for the Huskies to win the title. Kentucky (-2.5) vs. UConn – They often say that freshmen are no longer freshmen by the end of a long season but let’s be real here, the Kentucky freshmen weren’t exactly ‘typical freshmen’ when they arrived in Lexington in the first place. They have certainly grown up in a short amount of time under John Calipari but now they will be tested against an experienced group of Huskies from UConn. 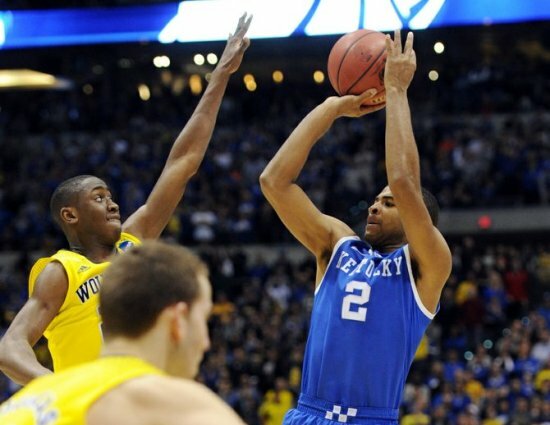 Despite hitting the game-winner, Aaron Harrison didn’t play very well and neither did his brother Andrew. They weren’t bad by any stretch but they both admitted they need to play better. Calipari was constantly screaming at them to drive to the basket last night rather than take jumpers and not surprisingly Calipari was correct. While that worked against the Badgers, Kentucky will have to be able to knock down those jump shots because UConn is a much different animal in the paint than was Wisconsin. While the Harrison twins must up their game I still believe UK’s fate will ride on the shoulders of Julius Randle. If the Wildcats can mix some outside shooting with Randle’s inside presence then I like their chances. How the Huskies win… Well, well, well… Let’s see. How about just give the ball to Shabazz Napier and let him take over? Easier said than done to be sure but there is some truth to it. Napier will not necessarily need to score the basketball looking for 25 points or so, but he will need to be a catalyst. Both Ryan Boatright and DeAndre Daniels could be beneficiaries of Napier’s play-making. Daniels became the first player to have at least 20 points and 10 rebounds in a semifinal since Carmelo Anthony in 2003. That’s pretty good company to be associated with and Daniels will need to have a similar game for UConn to win. The size that the Huskies pose in the paint also includes Amida Brimah who can block shots and pass the ball very well for a big man. If UConn can keep Kentucky out of the paint and force them to shoot outside jumpers then I believe the Huskies will once again be the champs. The Verdict… The coaching match-up heavily favors Calipari over Kevin Ollie who is in his first NCAA tournament as a head coach. That said, let’s not forget that Ollie’s ear will be getting a mouthful from former UConn coach Jim Calhoun. Either way, the edge is to Calipari. That said, I think the inside-outside game of UConn will be just enough. Take the Huskies getting the 2.5 points. 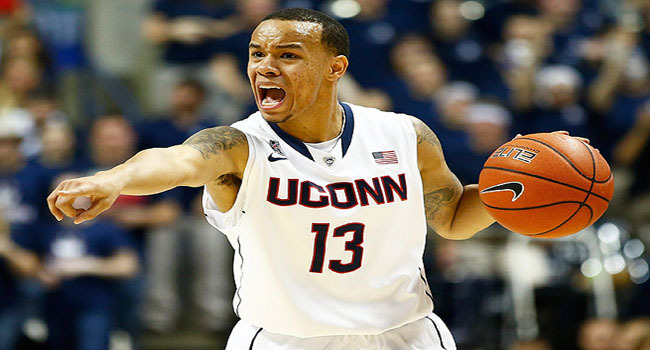 Can Shabazz Napier keep the Huskies' run alive against the Gators? The Final Four is finally here and I fully expect to see good games that will feature all kinds of swings and back and forth action. Who do I like to advance to Monday night? Read on people! UConn (+6) vs. Florida – The last time these two teams met UConn defeated the Gators 65-64 in a game that could not have been any tighter than the final score indicates. The Huskies led by one at the half and then the two teams scored the exact same amount of points in the second half of that game. As close as the game was, it was also the very last time the Gators lost a game this season. Florida comes in with one of the top defenses in the land but we have to give the Huskies credit for their defense as well. What concerns me for the Gators is the size that UConn can bring both in the starting line-up and from off the bench. The Huskies will have a significant height advantage over Florida’s big guys who are around 6’9″ and typically muscle their way to the hoop. Huskies’ phenomenal guard Shabazz Napier had a 26 point game in that match-up and that’s about what he is averaging so far in the tournament. The challenge for Billy Donovan and company is to not necessarily keep Napier from scoring. They have to make him work for every shot and every point and they also must make him defend at the other end as well. While Kevin Ollie has done a tremendous job coaching the Huskies, I have to give the coaching edge to Billy Donovan. Guard Scottie Wilbekin is an extension of Donovan on the court and I believe that’s the difference. I love the Huskies getting the six points so take them but I like Florida to advance in a close game. 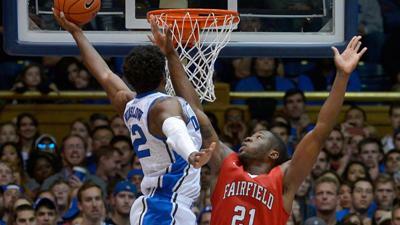 Can the Badgers handle the athleticism of Randle and the Wildcats? Kentucky (-2) vs. Wisconsin – Last week while I was watching the Kentucky-Michigan game, I felt either team could have easily won the game and no one could have complained. The one thing I kept coming back to in that game though as it wore on was the overall athleticism of the Wildcats. Yes, they are a group of freshmen who are doing something we’ve really only seen once before and that was ironically the Fab Five of Michigan 20 years ago. That said, I believe the biggest problem Wisconsin is going to face is the sheer athleticism of Kentucky. I know, I know…. The Badgers face plenty of other athletic teams throughout the season so why is this any different? I find it different for two reasons; first is the coaching. Love him or hate him, John Calipari can flat out coach and he’s gotten the most out of these kids and then some. The second difference about UK’s athleticism is that these are not weak, scrawny freshmen. These are thick, well-built young men who have weathered the physical storm all season long in the SEC. The Badgers will counter the athleticism with physicality and precision. While this isn’t one of Bo Ryan’s better defensive teams, this doesn’t mean the Badgers can’t play any D. They will make the Wildcats work on the defensive end and then will play very physical and aggressive man-to-man defense that will challenge Kentucky to take care of the ball. The fate of UK big man Willie Cauley-Stein is unknown but speculation is that he won’t play in the final four with his ankle injury. I really think Frank Kaminsky and the Badgers will make this interesting but the Wildcats just have too many options and too many athletes. I like Kentucky to cover and advance. Odds makers have released a number of props for Saturday’s Final Four. The two NCAA national semifinal games will tip off Saturday with the Connecticut Huskies facing the Florida Gators and the Kentucky Wildcats taking on the Wisconsin Badgers. The Gators are winners of 29 straight and the top seeded team in the tournament. 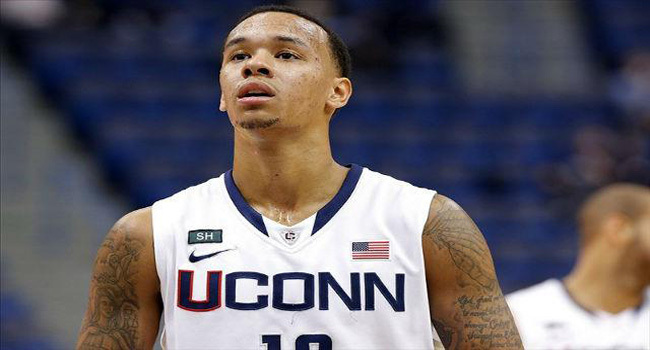 Connecticut has impressed with guard Shabazz Napier taking over games on his own. Wisconsin has proved just how tough the Big Ten conference is, while the Kentucky Wildcats are finally playing up to their billing as the best recruiting class of all time. Sites such as Bovada, topbet, betonline and sportsbook.com all have a number of different offerings for the Final Four. By browsing through the different sites, certain props might catch the eye or specific odds might jump out at you. Props available include which of the teams in each game will score 20 points first. If you were to choose that bet in the Florida versus Connecticut matchup, Florida is currently sitting at -155 on some sites, while on others they are at -175. However, if Connecticut is to your liking the Huskies at plus money are sitting at +155 on some sites and +135 on others to score 20 points first in the contest. Other props that interest many bettors are those related to players. For the Final Four, those types of props are also available. The OVER/UNDER for point total for Shabazz Napier for Connecticut sits at 18.5. The choice is yours as there are a number of different props to choose from for the four teams playing and for the individual players playing in the two games on Saturday. These are a list of some of the props available for the two National Semifinal games on Saturday. These props, with the exception of the one for the winner of the National Championship, will be available just for Saturday’s two Final Four contests, with new props released on Sunday for the National Championship game on Monday April 7. Auriemma's Huskies could meet another unbeaten team in the finals but is anyone watching? The NCAA Final Four is now set and waiting to play on Saturday night in Dallas are Florida, UConn, Wisconsin and Kentucky. The Gators will play the Huskies and the irony here is that UConn is the last team defeat the Gators. Should they and Wisconsin both advance, the Gators would be playing the only other team to beat them in the 2013-2014 season. As fantastic a run the Kentucky Wildcats are on, it’s hard to think the Wisconsin Badgers aren’t on a more amazing one. Consider for a second that this really isn’t one of Head Coach Bo Ryan’s best defensive units and that star player Frank Kaminsky was nothing but a bench-sitter most of the team last year. When the Badgers and Wildcats hook up on Saturday it will be the ultimate in college basketball contrasts. Kentucky is dominated by freshmen who were McDonald’s All-Americans and the best players from their respective states. Wisconsin is made up of ‘really good’ players but nothing like what the Wildcats will bring to the court. I’ll give you my Final Fur breakdown later this week but rest assured, both games promise to be enticing and entertaining matchups. Every year I hear how women’s’ college basketball needs just the right situation to capture the attention of basketball fans who could otherwise care less. This year appears to be offering exactly what some seem to think it needs in what could be a match-up of unbeaten teams in the National Championship game. Assuming Notre Dame and UConn advance to the finals, both the Irish and the Huskies will do so with totally unblemished records. Yet, there is very little talk about it and frankly that’s a shame but the women’s’ game has yet to make the proper adjustments to even give it a chance. I’ve argued for a long time that the women’s’ game needs to change when it plays its’ tournament so as not to be completely hidden behind the men’s’ games. Still they have yet to make the proper moves to gain any attention. The men’s’ game has already started toying with the idea of starting later so as not to be put on the back burner while college football gets the bulk of the attention. I strongly encourage the women’s’ game to take steps to get itself out from underneath the shadow of the monster that is the men’s’ game and even a battle between two unbeaten teams can’t help that. In what has to be the least surprising announcement in recent basketball history, Kansas’ Freshman Andrew Wiggins has made it clear he will be entering the NBA Draft this summer. The 6’8″ swingman will more than likely be chosen among the top three selections. With his teammate Joel Embiid already in the draft, only Jabari Parker’s entrance would change the order of the three might go. Wiggins, Embiid and perhaps Parker entering the draft after one year of college ball again has to raise questions about whether the current rule really accomplishes anything. Part of me would love to see these kids have to fall in line with the NFL rule of being out of high school for three years before entering the draft but I also understand the games are very different. If a young man coming out of high school is good enough to enter the NBA then he shouldn’t be held out but I do believe there has to be an out for some of these kids who chose to enter the draft but don’t get selected. I’m not sure how this process would or should work but something has to change in my opinion. The field of 68 in the NCAA Tournament has been narrowed down to just 4 following this past weekend’s Sweet 16 and Elite Eight. Four teams – Florida, Connecticut, Kentucky, Wisconsin – will play for the national championship. On Saturday, the national semifinals will be held with the two winners playing Monday night April 7 for the national title. In the first semifinal on Saturday, Florida has opened as a favorite by 6.5 points over Connecticut. This spread is considered by many to be inflated. The second game in Arlington on Saturday features Wisconsin versus Kentucky with the Wildcats laying just 2 points and in this game. Kentucky as the favorite is undervalued. Other bookmakers including Bovada and topbet have put Florida as a 4.5-point favorite, which gives value to the underdog. Connecticut has won three straight outright when a dog. The Huskies were dogs by +5 versus Michigan State, +1 versus Iowa State and +4.5 versus Villanova. Connecticut is 6-1 against the spread in their past 7 games overall with five of them as a dog. Some books, including betonline and sportsbook.com made Connecticut the favorite in the Elite Eight game against Michigan State since they had a de facto home court advantage playing the game in Madison Square Garden. Florida and Connecticut’s opening line for total points could be tantalizing for those that like the OVER. The line opened at 125 and was quickly pushed up to 126.5 early Sunday night. However, before anyone reading this runs to the window to lay on the OVER, Connecticut and Florida have been two of the best UNDER teams this season. Overall, in Gators games the UNDER finished 22-11-1, while for the Huskies it was 23-13. However, of the four games that Connecticut has played in this year’s NCAA Tournament only one, their win over Michigan State ended UNDER. However, in the Huskies run up to the NCAA tourney, the UNDER cashed in 9 straight games and 13 of their final 14. In games that have had totals of 129 or lower this season, the UNDER is 9-3 for the Gators. For Connecticut only three games have had point totals in the 120s and all were played against Cincinnati and the UNDER cashed in all three. Kentucky has now found some believers in its run through the tournament. As they went from dogs of 4.5 points versus Wichita State as well as Louisville, to a favorite of 2 points against the Wolverines of Michigan and now the Badgers of Wisconsin. Some bookmakers have Kentucky has high as -3.5 which could suggest taking the -2 on Bovada or sportsbook.com would have value in laying a shorter price. As an underdog this season, Wisconsin has covered the number in 4 of 5 games. They won three of those in the regular season and one in the tourney against Arizona in the Sweet 16. As the favorite, Kentucky has covered the number in 16 of 27 games this season. There will be plenty of movement in the line and the point total throughout this week so check back with us and our sportsbooks for all your betting needs. If UConn is to make the Final Four it will be on the back of Shabazz Napier. Last evening the Florida Gators put an end to the Dayton Flyers’ Cinderella run with a ten-point win while the Wisconsin Badgers beat the Arizona Wildcats in a thriller to advance to the Final Four. Today, we get a couple of somewhat unexpected match-ups as the surprising UConn Huskies; a seventh seed play forth seeded Michigan State. In the other regional final, the Kentucky Wildcats and all their youth go up against the Michigan Wolverines and their three-point shooting sensations. UConn (+6) vs. Michigan State – There was a significant amount of talk that should Michigan State get past Virginia in the Sweet Sixteen that a trip to the Final Four would be a foregone conclusion. Perhaps it will, but standing in the way of that trip is a surging UConn Huskies team led by a dynamic senior scorer. Shabazz Napier has put the Huskies on his back in much the same way Danny Manning did so many years ago in leading Kansas to a National Title. The difference of course is that Napier is a guard whereas Manning was more of a post, swingman type player. What Napier and his teammates will face is one of the more aggressive and well-rounded teams they’ve faced all season in Michigan State. Head Coach Tom Izzo finally has a team as close to full health as he has had all season. The signs of this current NCAA Tournament run started in the Big Ten Tournament where the Spartans blitzed through the opponents en route to the conference tournament title. Izzo is six out of seven in Elite Eight games and has also had every senior class under his tutelage reach at least one Final Four. This current group of seniors is the only exception. The Spartans rarely do things the easy way and I think that will be the case again today. I expect them to challenge Napier at both ends of the court and I believe inside-outside big man Adriean Payne will be the difference. Take UConn to win getting the six points but I like Izzo and the Spartans to advance. If Stauskas is knocking down three's then Kentucky is in trouble. Kentucky (-2.5) vs. Michigan – It’s extremely hard to argue and go against what the Kentucky Wildcats have been able to do so far in this tournament. I really expected them to have a tournament similar to their regular season. I figured they’d get past their first round game and then put together a real stinker of a game and be out by the third (I call it the second) round. That hasn’t been the case though as John Calipari has led his band of youthful exuberants to the Elite Eight. The road will become more difficult with Michigan the opponent but also because the Wildcats will more than likely be without Willie Caulie-Stein. The UK big man was in a walking boot yesterday after a severe ankle sprain in the first half of the team’s win over Louisville. That will put more pressure on Julius Randle who so far has been able to carry the Wildcats with great play in the paint. The Wolverines have of course gone this season without their great big man Mitch McGary who has been following back surgery. That has left Michigan a bit thin down low but they have survived with smart defense and good rebounding when necessary. John Bielein’s club has and will live and die with the three-point shot where they knock down shots at about 40% of those. Let’s be blount here; if Nik Stauskus gets good looks and his fellow three-point shooters do the same then I definitely like the Wolverines especially getting 2.5 points despite being a two-seed. 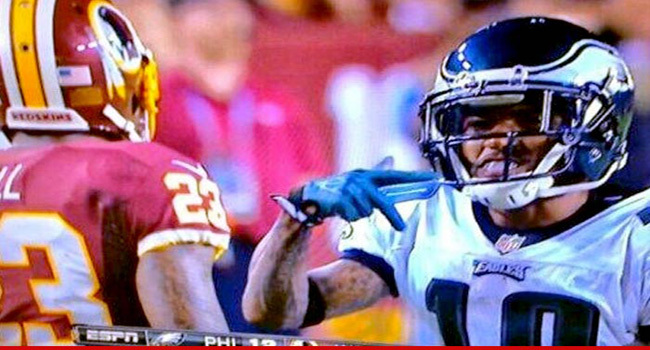 This is the gang sign in question regarding Desean Jackson. While there are many differences between what Jackson is alleged to be involved with and what Hernandez has done, the message the NFL is sending is quite clear. They aren’t going to tolerate this crap. That said, after weeks of trying to trade Jackson, I can guarantee you that someone will take a chance on him. For the record, Jackson has always been considered a bit of trouble-maker in Philadelphia. Often late to meetings or missing them altogether, Jackson has also been known to have a negative disposition. The clincher however appears to be his ties to known gang leaders who have released rap albums on his own personal record label. The Eagles essentially grew tired of him and then video appeared of him flashing a ‘crips’ gang sign to Washington cornerback DeAngelo Hall in the season opener. It was extremely quick and subtle, but evident nevertheless. While the story of Jackson’s potential gang affiliation goes much further it’s clear that Roger Goodell and the National Football League will monitor him very closely from here on out regardless of what team takes a shot on him. Need a loan? Miguel Cabrera can help out with his new deal. I’m really surprised by the reaction of people when baseball contract news breaks across our television stations. The stunning reactions to Miguel Cabrera’s new deal should register nothing more than a “ho-hum” these days but still, people go crazy at these monster contracts. For the record, Cabrera signed a ten-year deal worth $292 million which will keep him in Detroit through his 40th birthday. As Tigers’ General Manager Dave Dombrowski pointed out, what else are you going to do when you have the reigning American League MVP playing at his highest possible level? You lock him up and that’s exactly what the Tigers have done. If you want to be ticked off at these ridiculous salaries then look in the mirror. You continue to buy the tickets, pay ridiculous amounts of money for beer and food and pay through the teeth for team merchandise. Until baseball gets a salary cap and we the fans say “enough” it’s only going to get worse. After Wisconsin, Arizona, Dayton and Florida joined the Elite Eight on Thursday night, Michigan, Michigan State, UConn and Kentucky made up the other half last night. What we can take from this final grouping of eight remaining teams is that clearly the Big Ten has proven itself to be the nation’s premier conference. With three teams among the final eight, the depth they showed all season has been confirmed. The SEC brings two teams in Florida and Kentucky while ‘outsiders’ Arizona, Dayton and UConn join the party. The results from Thursday and Friday night also tell us that only two number ones remain in Florida and Arizona. There’s no question that Dayton is a huge surprise to be here at this point. The 11th seed has knocked off powers Ohio State, Syracuse and Stanford en route to the Elite Eight. We cannot dismiss the UConn Huskies though either who entered the tournament as a seventh-seed and have made their way here somewhat surprisingly. Iowa State was a very popular pick to make the Final Four and remained that way even after an injury sidelined one of their top players. My Final Four is officially wrecked as the Cyclones and Louisville Cardinals are no longer around so I’ll take the Gators, Badgers, Wolverines and Spartans. 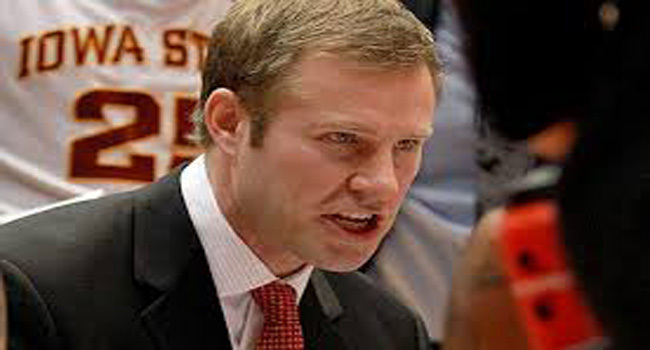 Can Coach Fred Hoiberg and the Cyclones advance past UConn tonight? Here are my thoughts on tonight’s NCAA Sweet Sixteen action. UConn (+2) vs. Iowa State – If any team has flown under the radar so far in this tournament it has to be the UConn Huskies. They’ve quietly put together a nice run here as a seventh seed and are led by fantastic senior guard Shabazz Napier who has averaged 25 points per game this season. The Cyclones enter this game doing three things very well; they score (6th in the nation), they assist like crazy (1st in the nation) and they kill the boards (2nd). The Huskies are very ‘middle of the road’ in most departments but they do block and alter a lot shots. That’ll be a big issue for ISU’s inside game. The Key here is Napier. If Iowa State makes him work for everything at both ends of the court then I like ISU big, if they don’t I expect a tight game but will still take the Cyclones. Payne and the Spartans will be a monster task for the Cavaliers. Michigan State (-2) vs. Virginia – I’m not sure how often this has happened but we have a number one seed as an underdog in the Sweet Sixteen. Top-seeded Virginia enters as a two-point dog against Michigan State. While the Spartans have been fairly impressive in wins over Harvard and Delaware, I’m not sure that would elicit such an advantage over a top seed. I would expect this game to be a war. The Cavs are the top ranked defense in the country as they give up just 55 points per game, but MSU is very good with the basketball. They are the sixth best team in college hoops with over 17 assists per game and they rank 31st in field goal percentage. If Virginia is going to continue this amazing season all the way to the Final Four then I think this is the biggest road block. Will State’s experience and guard play be too much? I think the Cavs move on. Tennessee (+3) vs. Michigan – The Volunteers not too long ago were one of those teams forced to play in a ‘play-in’ game just to get to the actual tournament. They dismissed Iowa and have since beaten UMass and Cinderella wannabe Mercer in convincing fashion. On the other side is second-seeded Michigan who has surprised no one by getting to the Sweet Sixteen. The Wolverines have had most of the season to figure out life without injured big man Mitch McGary and they did just fine in winning the outright Big Ten Title. This promises to be a classic match-up of shooting vs. rebounding. The Wolverines knock threes down at the rate of 40% and their overall field goal percentage is pretty darn good as well. They will need to make those shots because Tennessee does a significantly better job of rebounding the ball than does Michigan. I expect a Michigan victory but I will actually take the Vols and the three points in what should be a tight game. Kentucky (+4) vs. Louisville – I can only imagine what life has been like this week in the Bluegrass State as these two longtime rivals meet in the Sweet Sixteen of the NCAA Tournament. They met earlier in the season and the Wildcats grabbed the home court win 73-66. Kentucky played much of the second half that game without Julius Randle who was being treated for cramps. The Cardinals only shot 23% from three-point range in the game which is considerably lower than their season average of 37%. Look for that to again be a huge stat in this one. UK Head Coach John Calipari is 13-12 all-time against Rick Pitino and is 5-1 against him in the last six games. Despite the clear advantage in experience, I think the coaching edge Calipari has right now is too much to ignore. Take the Wildcats and the points.